Definition: Full and active members who are focused on contributing to the club and their community to the best of their ability. Dues: $165 per quarter. Dues covers lunches, Rotary International and District dues, monthly magazine and Club administrative costs. Considerations: A Sustaining Member in good standing is encouraged to make up meetings whenever possible. Meals paid by a Sustaining Member while visiting another Rotary Club for a make-up meeting will be reimbursed at $8 per meeting for up to two meetings per month, but not exceeding the meal cost paid to the Rotary Club visited. Definition: A corporate entity or organization wishes to support Delta Waverly Rotary as a respected institution but their executive and management team are not free to commit as a Sustaining Members. A Corporate Membership allows for up to four staff to be identified as representatives and are welcomed to attend meetings. The lead staff member will be identified as a member for membership listings. Dues: A Corporate Member pays dues of $500. Representatives attending meetings are expected to pay for meals at the $15 rate. 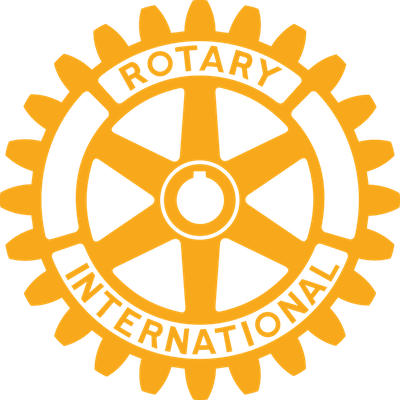 Dues cover Rotary International and District dues, monthly magazine, and Club operating costs and underwrite Club community projects. Considerations: A Corporate Member will be recognized on Club activities and projects as an underwriter. Representatives will be welcomed at meetings and work projects. Representatives are encouraged to join the Club as Sustaining Members. Definition: A long time sustaining member who is retired with a life style that does not allow for full and active participation. The Combination of age and years in the club add to at least 85. Dues: $40 per quarter. Dues cover Rotary International and District dues and monthly magazine. The R85 members will pay $15 for each meal at meetings they are able to attend. Considerations: A R85 members is a respected for their wisdom and history with the Club. They are encouraged to participate in fund raising and all activities as they choose. Definition: A young professional who wishes to learn more about being a Rotary Club member but at this point in their career are not able to commit the time and money to being a Sustaining Member. For up to two years this young professional (usually around 26 years of age) may be an Associate Member and participate in Club meetings and projects as they choose. Dues: An Associate Member pays dues of $75 per quarter. Associate Members pay for meals at meetings they attend at the $15 rate. Dues cover RotaryInternational and District dues, monthly magazine, and Club operating costs plus a contribution to Club Projects. Considerations: Associate Members are welcomed at Club meetings and are encouraged to participate in Club projects. The Club will encourage the young professional in their career and help them see the value of being a Sustaining Member. Definition: Sustaining Members, currently in good standing may request a leave of Absence when they are unable to attend Rotary meetings for an extended period of time due to circumstances beyond their control. Goodstanding means that the member is current in membership dues payments. Personal reasons make it necessary to miss too many meetings. Procedure: A written request stating reason for a LOA for one quarter should be requested prior to the quarter in which the LOA is requested. The LOA dues payment should be paid within 30 days of invoice. Subsequent LOA periods require this same process to be followed each quarter. Dues: A member with an authorized LOA pay dues of $50 per quarter. They are welcomed to attend meetings but will be expected to pay for meals at the $15.rate. Dues cover Rotary International and District dues, monthly magazine and Club operating costs. Considerations: A member with an authorized LOA is welcomed and encouraged to attend meetings when possible and participate in projects. Their return to full and active membership is the member’s and Club’s expectation.